When you’re looking for an alternative to the regular white rice, there are other varieties that can give you hints of flavors and more distinct aromas. The aromatic rice variety such as the basmati rice and jasmine rice provide a break from the ordinary and give you more enjoyable meals. At first glance, these two types of rice seem similar but when you look closely and get a chance to know more about them, you’ll find out that they differ in a lot of ways. 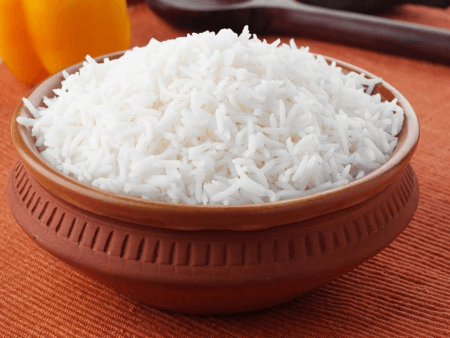 In this article, you’ll discover what differentiates basmati rice from jasmine rice. Basmati rice is a homegrown type of rice in the Himalayas, in the northern parts of India and Pakistan. It is a variety of the long, thin-grained aromatic rice considered as the most expensive variety of rice in the world. Basmati is a Hindi word which literally means “fragrant.” It was the Indian traders who introduced basmati rice to the Middle East. It is not only an important part of Indian, Pakistani and Bangladeshi dishes, but is also largely used in Middle Eastern and Persian cuisines as well. Nowadays, several countries, including the US, would have their own domestically grown crops but these aren’t as good as the basmati rice imported from its native origin. Traditionally, basmati rice is soaked for 30 minutes prior to cooking so that the grains will absorb the water and cook evenly. When cooked, it becomes dry and fluffy. Typical of the basmati rice is a distinctive fragrance and flavor similar to that of pandan. Basmati rice has a low glycemic index of 58, making it good for people who are diabetic. Basmati rice is now available in most grocery stores and comes in two varieties: white and brown. This type of rice is commonly served with nuts, spices, or dried fruits. It also goes perfectly with vegetables, lamb, or chicken marsala dishes. Jasmine rice originated from Thailand but is also grown in Cambodia, Laos and Vietnam. It is a variety of rice that has short, thick grains. The term “jasmine” was used for this specific type of rice due to the color, which is as white as the jasmine flower, as well as its subtle floral aroma. This type of rice is often used in Southeast Asian dishes. The type of jasmine rice that is commonly exported to North America and Europe is Thai jasmine rice. Thai jasmine rice comes in white and brown varieties. Prior to cooking, jasmine rice is usually washed to remove any dirt and excess starch. It is cooked with a measured amount of water and this water is absorbed by the rice. Once cooked, jasmine rice will have a soft and sticky texture, which is about three times more sticky than US long-grain rice. Jasmine rice has a high glycemic index of 109, making it a good energy source for those recovering from strenuous activities or for those who need a boost in their blood glucose levels. 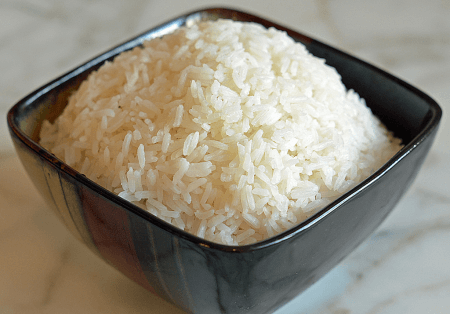 What is the difference between basmati rice and jasmine rice? Basmati rice is native to India and Pakistan while jasmine rice is native to Thailand. Characteristic of basmati rice is its long, thin grains and pandan aroma whereas jasmine rice has short, thick grains and a jasmine-like aroma. When cooked, basmati rice turns dry and fluffy compared to the moist and sticky texture of jasmine rice. Basmati rice has a lower glycemic index (58) which makes it good for those with diabetes. Jasmine rice, on the other hand, has a higher glycemic index (109) making it good for those who need an energy boost. Basmati rice is best suited for Indian and Middle Eastern dishes and is also considered as the most expensive rice variety in the world. Jasmine rice is perfect for Asian dishes and is deemed to be the cheaper alternative to basmati rice.